The law office of Mack & Mack is Fort Mill's oldest legal services provider. In 1960, after 28 years as a solo practitioner, William Bayles Mack (1903-1986) was joined in practice by his son, Barron Bayles Mack to form the general practice firm of Mack & Mack, Attorneys. In 1985, Barron B. Mack, Jr. joined the firm as the third generation of Mack attorneys serving Fort Mill, South Carolina. For three generations, one of the Mack real estate attorneys has been providing legal advice for businesses and homeowners in South Carolina. For three generations a Mack estate planning attorney and probate lawyer has been helping individuals set their affairs in order. For three generations, a Mack attorney at law has been helping turn entrepreneurs into businesses. Today, B. Bayles Mack and Barry Mack provide legal advice in the areas of real estate transactions, estate planning, and probate administration and business formations. The Mack family ancestors have been in Fort Mill South Carolina since arriving here in 1879. Today, Mack & Mack has two Fort Mill locations. The original law office is located at 217 Banks Street and open by appointment only. One block away is the main location on 101 Allison Street. In their role as real estate attorneys and probate lawyers, the family of Mack attorneys has also found time to be involved in the community in many ways. As partial recognition of this contribution, B. Bayles Mack was named Fort Mill Citizen of the Year in 1999. Active in the community, Barron B. Mack Jr. (Barry) has served on a variety of boards, currently sitting on the board of the Nation Ford Land Trust and the Fort Mill Historic Review Board. He is also very active with St. Paul's Episcopal Church of Fort Mill, where he has served several terms as Senior Warden for the parish. 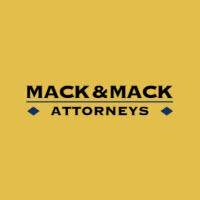 As a practicing probate lawyer and real estate attorney in Fort Mill South Carolina, Mack & Mack has recently been serving clients in the fast growing area south of Charlotte in York County including Rock Hill, Tega Cay, York, Clover and Lake Wylie as well as Indian Land in Lancaster County. Whether you are considering buying or selling property and need a real estate attorney, or you’d like to start a business, or you have questions regarding estate planning and need legal advice from a probate lawyer, the South Carolina law firm of Mack & Mack would be happy to speak with you and discuss your needs.